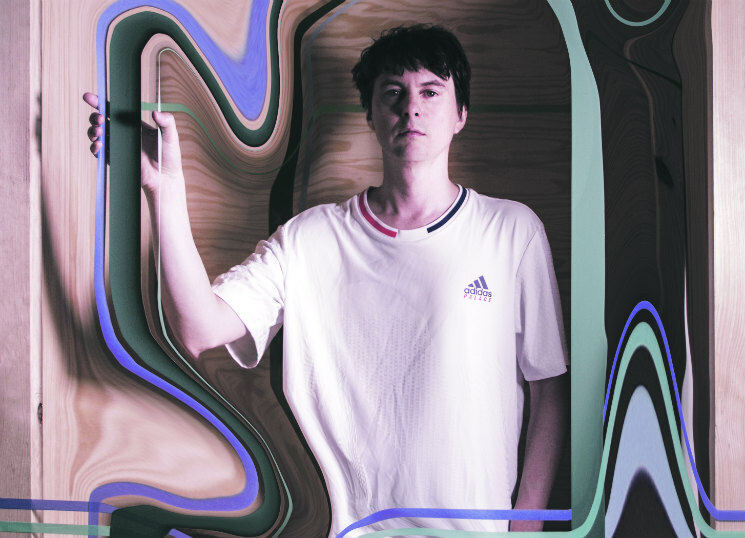 Animal Collective member Panda Bear is being characteristically open, honest and dry as he sits and talks in an Exclaim! interview about his new studio album, Buoys (out February 8 on Domino) — if a little too humble. "I can't say I ever had really grand ambitions," says Lennox over the phone from his home in Lisbon, Portugal. "I thought I'd just be a janitor or something. And maybe I still will be." Since 2004, the soft-spoken singer-songwriter has been a dominant force in both indie rock and experimental music, finding himself at the forefront of burgeoning micro-genres ("freak folk" and "chillwave"), in the studio with Daft Punk (Random Access Memories highlight "Doin' It Right"), and with two of the aughts' most important albums under his belt (Person Pitch and Merriweather Post Pavilion, the latter of which celebrated its 10th anniversary this year). When pressed to discuss his legacy, he grows a bit shyer. "I may briefly kind of think, 'Oh, this happened a while back.' But I don't really like to go deeper than that," he says. "I like to just keep pressing forward — the more I sort of think back, I sometimes feel like it kind of muddies the water a little bit." "I hadn't been playing guitar much, certainly not any acoustic guitar," Lennox says about the lead up to the Sung Tongs shows. "Getting my hands to be able to do that stuff again took me a while… [then] I just started writing these little things, you know? I think I was really being inspired by it." Those initial practice sessions are what informed his latest album, Buoys, a record that finds Panda Bear pushing the sampler aside in favour of echo-laden guitars that bob and weave alongside gurgling soundscapes, blips as beats, otherworldly melodies and ethereal vocals. For some, the 32-minute album will sound like a far-out transmission that acts as a beacon in an era of endless tracklistings and streaming services. For others, Buoys will be an unexpected return to the Panda Bear of old. The pair recorded the album around the corner from where Panda Bear Meets the Grim Reaper was made at BIG BIT, a studio that flaunts its status as a hotbed for Portuguese hip-hop, in a recording booth that was just big enough to fit his acoustic guitar in horizontally. In a pure reflection of the surroundings that birthed it, Buoys is both extremely personal and easily consumable to modern audiences (the pair recorded and mixed the album, at least in part, with laptop speakers in mind) but holds untold sonic power below its surface for those willing to unlock it. (When played on a good stereo, certain resonant frequencies emerge that can rattle items far away, as opener "Dolphin" did with a cat toy collection in my linen closet). The album's title and lyrical imagery, similarly, offers a treasure trove of meaning for those willing to dive deep enough — including himself. "I've tried to psychoanalyze myself to try and figure out what the sea represents for me," he says, clearly not being coy for coyness's sake, "because not just on this record but going it back it seems to be a well — no pun intended — that I keep going to." And since work began on Buoys, Lennox has been on a serious creative spurt. "I probably wrote more songs last year than I've ever written in my life," he says. He plans to work on the songs with his Animal Collective bandmates when the four of them regroup — or, as he describes it, "full Voltron" — later this year for a new album, and even hopes to record another solo record by the end of 2019. Lennox turned 40 this past summer. The family that inspired "My Girls" now includes a son and a dog. The city of Lisbon, which he moved to over a decade ago and inspired much of his most popular work, is increasingly becoming a gentrified metropolis. "The sound of luggage wheels on cobblestones is something I hear every day now," he says. "When I moved there, I'd barely hear English ever. And now in my neighbourhood, I almost hear more English than Portuguese." He's older. He has responsibilities—even a fantasy basketball team to look after (he's fifth out of ten, but says he's still in playoff contention). Yet, when it comes to his work as Panda Bear, he's making some of the best music of his career. "I'm just happy anyone cares," he says. "I'm very grateful anyone thinks about it, considering how much is out there. I kind of dig that. The narrative is in flux all the time." Buoys is out February 8 on Domino.